The College of Medical Laboratory Technologists of Ontario (CMLTO) protects the public’s right to safe, competent, ethical health care. We do this by regulating the professionals who conduct lab tests across the province. 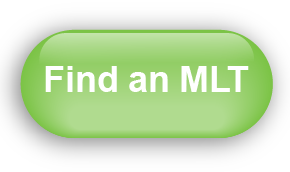 The CMLTO is the regulatory body for approximately 7,000 medical laboratory technologists (MLTs) who practise in Ontario. Our role, programs, and governance all contribute to making the profession of medical laboratory technology accountable. You have the right to file a complaint about a member of the profession, which we will investigate. That, too, is part of public protection. Read the CMLTO Consolidated Bylaws (PDF) and the CMLTO Strategic Framework 2016-2019 (PDF). CMLTO French language services policy/Services en français (English PDF) (French PDF). Learn more about how the CMLTO ensures the quality of the services that MLTs provide in labs throughout Ontario.